Another guarantee busting field was on hand for the latest leg of the Grosvenor 25/25 Series in Sheffield over the weekend with Alex Spencer eventually taking the honours. 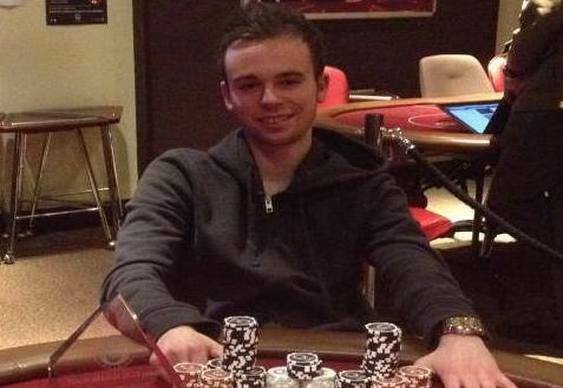 The local lad turned his buy-in of £200 into a score of £13,150 after beating Michael Kossov heads up. Spencer went into two-handed play with a 3.5m to 2.4m chip lead but with the blinds at 30k/60k there was still plenty of room for manoeuvre. Despite that, it didn't take long for all the chips to hit the middle. The critical hand saw Spencer make an initial raise to 130,000 that Kossov called. Kossov then check called Spencer's 150,000 bet on the 3s-Jd-Ah flop. Kossov again checked the 9h on the turn, before calling Spencer's 300,000 bet. The river was a 7c which Kossov again checked. This time Spencer moved all in with A-10 which was good enough to take the hand, the title, the trophy and of course the 13 grand. The Grosvenor 25/25 action continues this weekend with events in Dundee and Luton. Online qualifiers are up and running at Grosvenor Poker. Image and information courtesy of Grosvenor Poker and AWorldOfPoker.com.